Elon Musk, CEO of Tesla Motors has announced that in a very short time your vehicles can be controlled through our mobile phone. The technological advance we are experiencing in recent decades is a reality, and these innovations are increasingly present in the world of motorsport. The last major technological step in this sector comes from the hand of the American brand, which carries out an expansion of Summon mode capabilities. This system allows remote driving of the vehicle from the mobile phone. 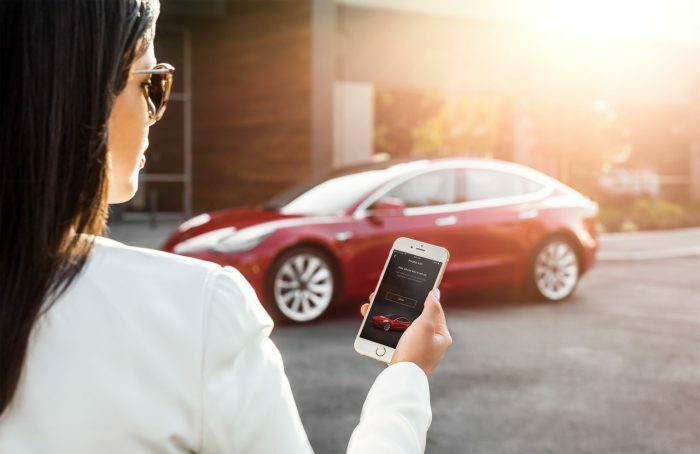 The current Summon system makes it possible to perform basic functions such as igniting the vehicle or moving them in a few meters, but the Advanced Summon will allow by geolocation by mobile phone, that the Tesla will only disappear and can go in search of its owner. It is a technology that we already know in the BMW 7 Series, for example, which the Bavarian firm calls Remote Parking, which we met at the BMW Innovation Days 2017 and which is already approved in Europe by the DGT, which incorporated this possibility of parking in the Traffic Code. This update can only be used by Tesla vehicles with less than two years old (Model S and Model X already on sale in Europe and Model 3, the access model that should arrive soon). It will also have the functions of recognition of traffic signals as well as greater precision in parking without a driver at the wheel and according to Elon Musk from Twitter it will be available in a month and a half. There are many years that Tesla has been facing the goal of getting an autonomous car in its entirety, and with this step, that moment is closer than ever.